George Rickey began to produce kinetic sculpture in the late 1940's. The massive element of "Cluster of Four Cubes" is appended by ball bearings to slender arms that branch from a central post. 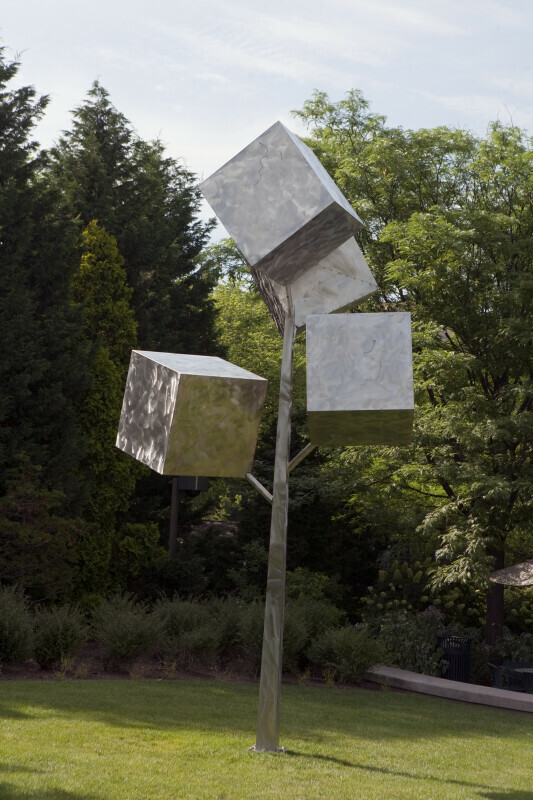 Each cube is precisely weighted and balanced, engineered to turn effortlessly in the lightest breeze; they glide, nearly brushing one another in an intricate and graceful dance that belies their apparent bulk.